2015 – the year of the rent increase? Home / Help & Advice / Rights and responsibilities / 2015 – the year of the rent increase? A new Spare Room survey published at the end of this month indicates that around 40% of landlords are planning to put up their rents in 2015, something that will come as a bit of a blow to tenants who might have been hoping to escape increases in monthly outgoings over the next 12 months. The survey also found that a very reasonable 55% of landlords are intending to leave rents at their current levels, while the kindly souls who make up 5% of the landlords that Spare Room spoke to indicated that they would be lowering their rents. In 2014 rents rose by 8%, which works out as an average of £546 per month with the increase making up £44 of that. However, although rents may be on the rise in 2015 some experts believe that they will not be increasing as dramatically as in previous years. There are a number of reasons for this, including the likelihood of interest rate rises in the near future, low disposable income and an economic forecast for the UK that is not as positive as that for 2014 (according to Belvoir Lettings). For many landlords, good tenants who pay their rent on time and take care of the property will be more important than the chance to gain a few more pounds in rental income each month but the decision as to what to do with rents is likely to be varied across the board. – Your landlord can only increase the rent once a year so if you’ve already had a rent increase in the last six months then your landlord can’t do this again until a year has passed. – The rent cannot be increased during the fixed term of an Assured Shorthold Tenancy agreement (usually six or 12 months). – If you have a regulated tenancy or an assured tenancy then you’re protected from rent increases (this is unlikely unless you moved into the property pre-1989). So what can you do if you receive notice that your rent is going to be increased next year and you just can’t afford it? It’s a difficult situation for many tenants as moving is expensive and time consuming but that little extra every month can really add up. Remember that landlords would always rather have a tenant in their property paying rent, rather than the property sitting empty, so it is often worth attempting to negotiate if you find that the increase is going to make life unaffordable. Remember to take into account the costs of moving too – if this would amount to the same as the overall rent increase over the course of a year then you might well be better off staying put. For more information on how to handle a rent increase notice take a look at our Help & Advice pages. A new Spare Room survey published at the end of this month indicates that around 40% of landlords are planning to put up their rents in 2015, something that will come as a bit of a blow to tenants who might have been hoping to escape increases in monthly outgoings over the next 12 months. The survey also found that a very reasonable 55% of landlords are intending to leave rents at their current levels, while the kindly souls who make up 5% of the landlords that Spare Room spoke to indicated that they would be lowering their rents. In 2014 rents rose by 8%, which works out as an average of £546 per month with the increase making up £44 of that. However, although rents may be on the rise in 2015 some experts believe that they will not be increasing as dramatically as in previous years. There are a number of reasons for this, including the likelihood of interest rate rises in the near future, low disposable income and an economic forecast for the UK that is not as positive as that for 2014 (according to Belvoir Lettings). 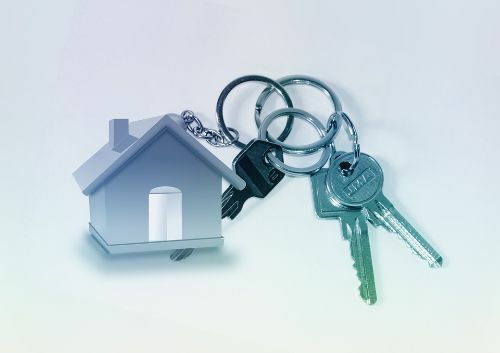 For many landlords, good tenants who pay their rent on time and take care of the property will be more important than the chance to gain a few more pounds in rental income each month but the decision as to what to do with rents is likely to be varied across the board. For tenants who find that they are being presented with an inflated rent next year there are a few things to bear in mind: – Your landlord can only increase the rent once a year so if you’ve already had a rent increase in the last six months then your landlord can’t do this again until a year has passed. – The rent cannot be increased during the fixed term of an Assured Shorthold Tenancy agreement (usually six or 12 months). – If you have a regulated tenancy or an assured tenancy then you’re protected from rent increases (this is unlikely unless you moved into the property pre-1989). So what can you do if you receive notice that your rent is going to be increased next year and you just can’t afford it? It’s a difficult situation for many tenants as moving is expensive and time consuming but that little extra every month can really add up. Remember that landlords would always rather have a tenant in their property paying rent, rather than the property sitting empty, so it is often worth attempting to negotiate if you find that the increase is going to make life unaffordable. Remember to take into account the costs of moving too – if this would amount to the same as the overall rent increase over the course of a year then you might well be better off staying put. For more information on how to handle a rent increase notice take a look at our Help & Advice pages.